← Lantern Plants: Working Away! I had the great good fortune of spending the weekend at the Houston Quilt Festival (winners photos). Wow, that was amazing! And exhausting! (Check out the Studio Art Quilt Association! I don’t quilt, but wow! Amazing fiber artists) As you know, I want to start working on my own embroidery designs, partly in Japanese embroidery. So I stopped by the booth for Saber’s Japanese Textiles and Tours and picked up some beautiful silks. The white on the left has a beautiful water pattern and the red has some little houses. It’ll be interesting to work with those. 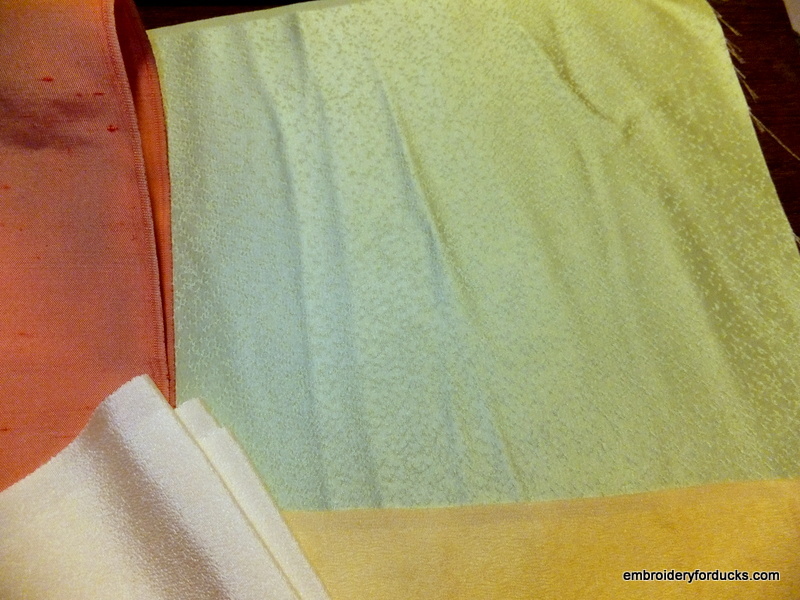 The “yellow” fabric does not look quite so yellow in person. I will have to try again with better lighting. The green is also very beautiful. 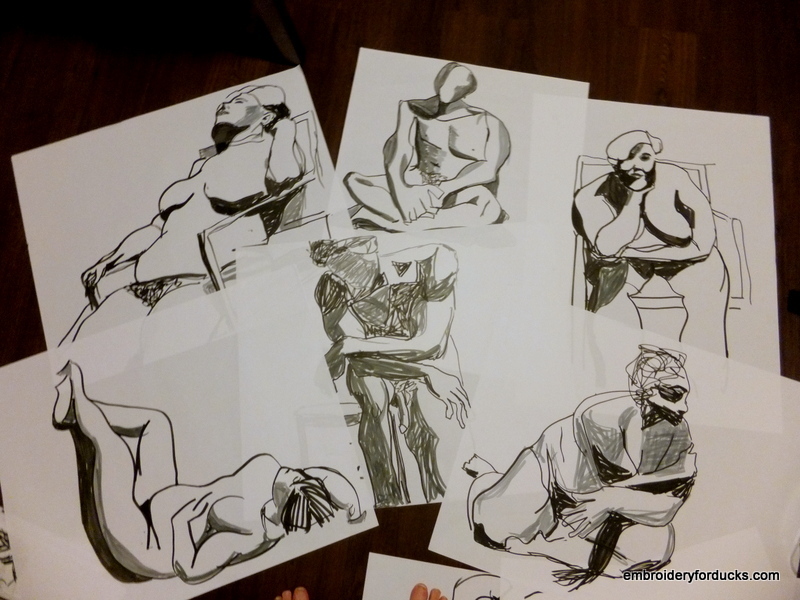 Now for a few of the sketches I’ve done in figure drawing class! It is very hard to pick just one to start with. I will have to think about the fabric too, since I have options. Next step: get the chosen one scanned into the computer and turned into an outline so I can get it printed onto the fabric. Looking forward to seeing this one grow! Good post. Very informative. Almost as good as Big Whale Learning posts. Your post are really lovely.I look forward to seeing grow your japanese embridery project.